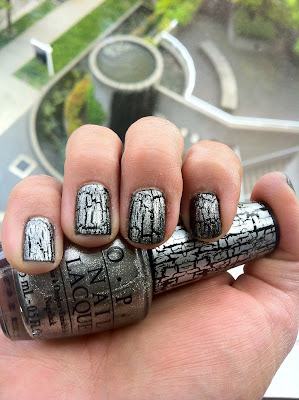 I recently came across OPI's Silver Shatter crackle nail polish, and of course I had to buy it! I waited a few days to try it because I was working with some heavy adhesives that would ruin my nails in a day. It was worth the wait, this is my new favourite polish! I really want to try out Sally Hansen's Crackle Overcoat, but I don't think it's available in Canada yet.